Civil War Re-enactor just awakened, in his night cap. Behind him is the Dunker Church. Antietam Battlefield. Site of the bloodiest day in American history. Some 23,000 men were killed wounded or missing after just twelve hours of fighting. General McClellan’s troops outlasted General Lee’s. As they rested for what could have been the final crushing blow, Lee took his army back over the Potomac in retreat. And so the Great Civil War lasted another two and a half years. McClellan was soon relieved of his command by Lincoln. This kindly fellow is a secessionist re-enactor. Eager to chat, he regaled me with facts and figures of the battle, peppered with much praise for anything and anyone of the South and much derision of anything and anyone of the North. Funny, that. Early morning sun. 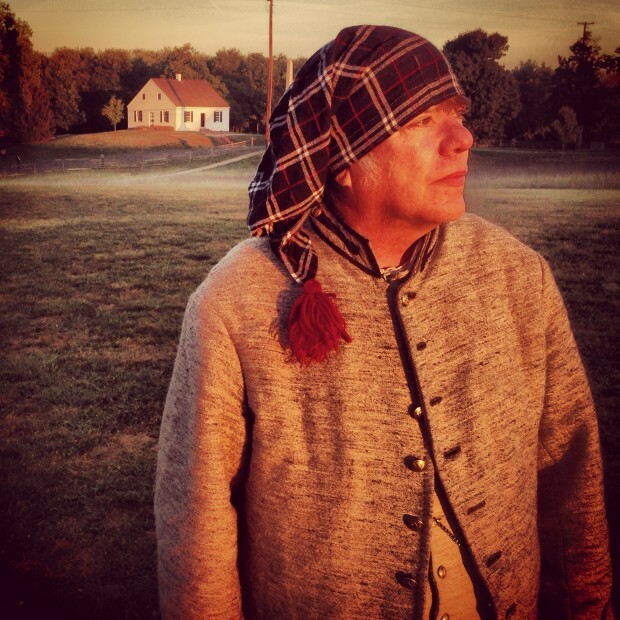 Re-enactor, Dunker Church behind him.